Columbus XCr tubing is possibly the greatest material available today for building a bike. The tubing is stainless steel so it's resilient and will be around for ever! Literally. Its elemental make-up is such that it is the strongest steel available on the market. Strong means light. Because of its strength you can use less material and achieve the same results, making it as light as most aluminium bikes. Its maintains all the ride characteristics that keep people coming back to steel - road absorption and responsiveness being the two big ones. Steel also maintains its mechanical properties over time, unlike carbon and aluminium which begin to degrade from day one. This bad boy will ride the same today as it will ten to twenty years from now. Like a beast, light as a feather and ready to eat up the miles. 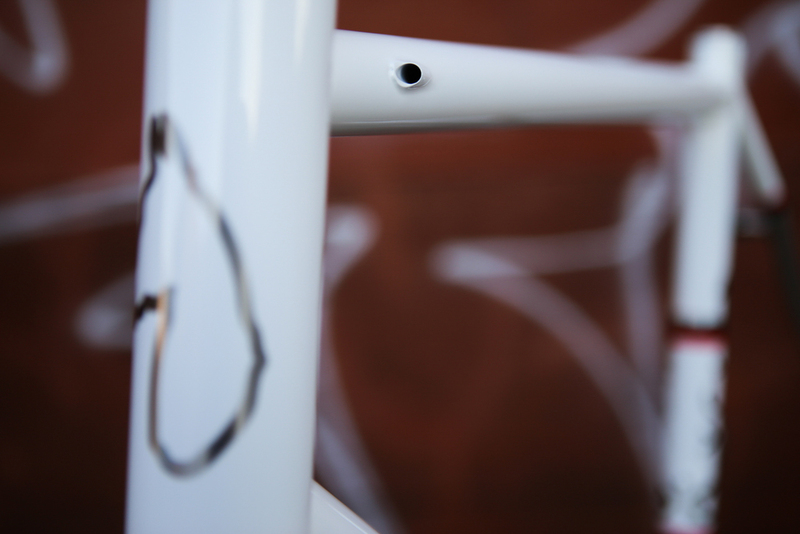 Built with oversized tubing including a 44mm headtube to accept a tapered carbon (Enve) fork. This custom build bike also includes S-bend seat stays, internal cable routing and machined dropouts from Paragon, CA. Painted in-house by our talented spray booth guru, Ben Falcon. Enjoy!